Now that you graduated, you may want to keep your mortar board and tassel. However, do you know a way to display them for posterity? Without proper display or preservation, the mortar board and tassel will become worn, faded, and otherwise damaged. I will provide one method to display your mortar board and tassel and one way to preserve your mortar board and tassel for the future. The key to all three ways is proper preparation of your mortar board and tassel prior to preserving or displaying them. Both items need to be as clean as possible, since dirt can accelerate decay of fabrics and other materials. The first way to do this is to brush the items thoroughly using a clean bristled brush. Be careful not to press too hard or you will end up damaging the mortar board's nylon or snagging some of the tassels. If either the mortar board or tassel is stained, you can try to spot the stain using cold water and a clean white cloth. Water easily damages nylon, so a heavily stained mortar board may not be able to be cleaned at all. 1. Purchase a frame that is larger than your mortar board and tassel. 2. Purchase some acid free background paper for the frame. Chose white if your mortar board and tassel are dark colored; choose black if your mortar board and tassel are light colored. 3. Buy some acid free adhesive (such as scrapbooker's glue) to adhere your tassel and mortar board to the backing before you frame it. 4. Center your mortar board and tassel on the backing paper. 5. When you like the alignment, glue the mortar board and tassel in place using as little glue as possible. 6. Once both items are attached to the backing paper, put the frame glass over the mortar board and tassel. 7. Turn the glass face down on a cloth-covered table. 8. Attach the frame back and crimp or staple into place. 9. 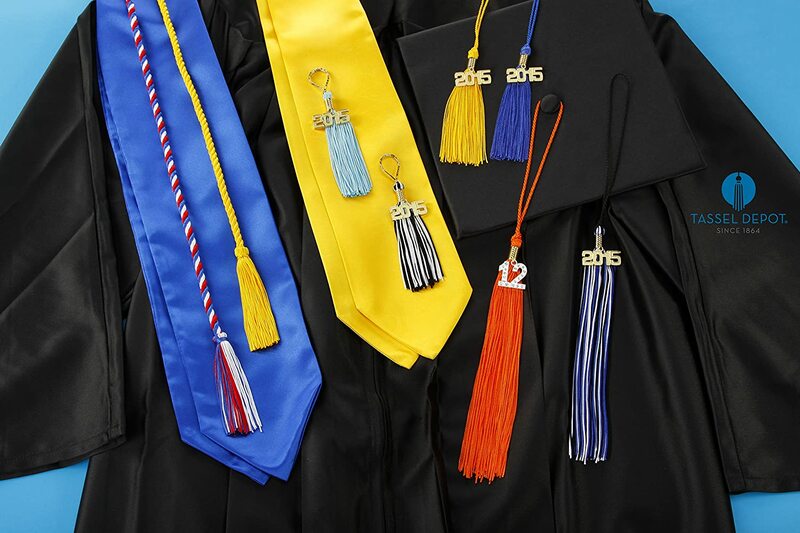 Hang your mortar board and tassel where you would like to display them. Avoid a sunny place since sunlight will bleach or fade the mortar board, the tassel, and the backing paper.